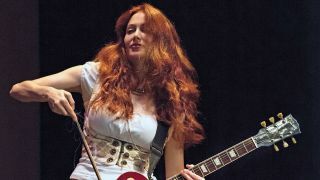 What's Zepparella's Gretchen Menn listening to? Find out here! I’m officially obsessed with this piece — the harmonic language, the interplay between voices, the development of ideas, the range of expression. This piece has it all: gorgeous textures, sophisticated counterpoint, soaring melodies and one of the most perfect guitar solos. I’m blown away that this stuff was recorded live and heavily improvised. Alexandra Zerner is a Bulgarian guitarist, composer and multi-instrumentalist who writes music with huge artistic commitment. Her latest album, Opus 1880, is an epic journey with ripping guitars, beautiful melodies and carefully crafted compositions. Lili is a treasure of the Impressionistic era of the early 20th century. This particular piece is a go-to for me for study, a soundtrack to yoga, or anytime I need a respite from the chaos of the world.